Ultrasonic pulses only pass through tissues (skin and fat) that you want to treat. The risk that people consider with traditional cavitation, which has caused the technology and treatment method to be questioned in some countries, has thereby been minimized with Omorphia 20. 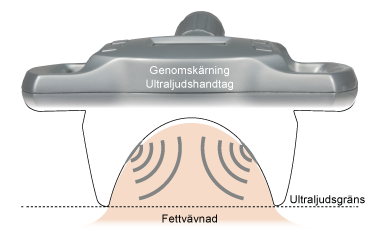 When the fat cells are blown apart by the ultrasound, the fat particles are melted with Omorphia’s other hand-pieces and techniques. 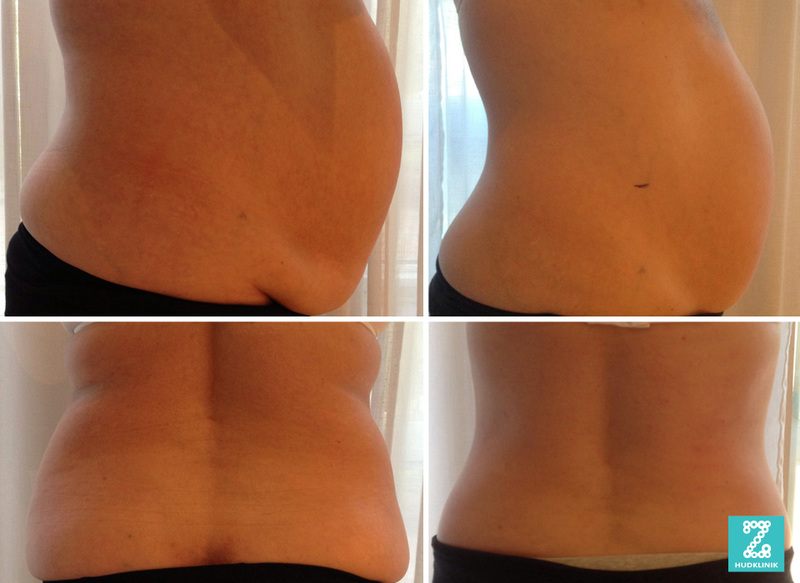 This combination of treatment techniques provides a pain free and risk-free body-shaping without surgery technology. With the ultrasonic hand-piece, the fat tissue you want to treat are sucked by vacuum. Thereafter, the ultrasonic pulses pass only through the fat tissue contained in the "cup". 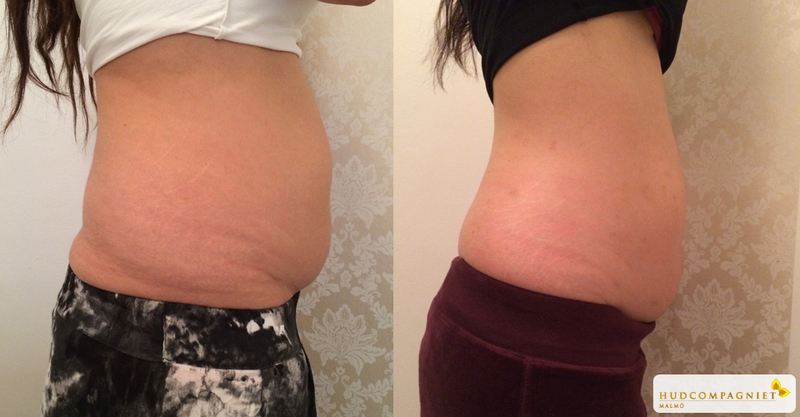 In this way you can only treat the targeted fat cells pulses without affecting other tissues and organs. 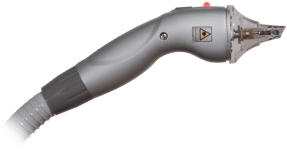 However, this hand-piece finishes the area treated with cavitation with four different techniques; Radio frequency, infrared light, vacuum and mechanical massage. This hand-piece is treated in the same way as the big but with three different techniques; Radio frequency, infrared light, and vacuum. Because it's smaller, you work smoother and in smaller areas such as your arms and legs or focus on a smaller area of the body. A smaller hand-piece to treat the face and throat. 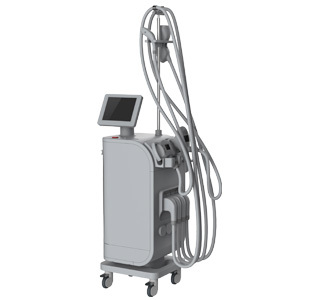 Radio frequency, infrared light and vacuum stimulate skin production of Collagen and Elastin. 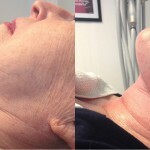 This provides a more elastic skin and a fine face lift with wrinkle reduction. Cavitation technology in itself means that the ultrasound causes the fat cells to vibrate so fast (high frequency) so vacuum bubbles are formed in the cell. As a consequence, the outer casing of the fat cells (the membrane) is "blown out" and the fat ends outside the cells. Outside of the membrane, the fat can be broken down to rapidly accessible energy, which is then taken up in the blood or transported by lymph nodes, after which they are either burned or stored in other fat cells elsewhere in the body. 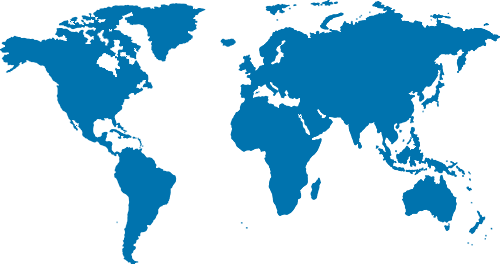 Radio Frequency (RF) is a well proven technology that has been used in surgery for over 70 years. Radio frequency heats the water molecules into the subcutaneous tissue so that the fat tissue warms up and increases metabolism, which drains the fat cells and decrease in size. The mechanical massage works profoundly on densified connective tissues. The mechanical massage rollers enhance the skin's cell-generating activity, resulting in thickened fat deposits being drained. Behandlad rygg med Omorphia 20, minskade fettdepåer och slankare och kvinnligare midja. Slankare midja, minskade två storlekar i byxor efter behandling. En behandling med Omorphia 20, minskade rynkor och ett lyckat ansiktslyft. Kraftigt minskat omfång och finare konturer. Kraftigt minskade fettdepåer och betydligt slankare midja. Want to know more about Omorphia 20?